Log Cabin Republicans | National Journal: Will Republicans Move to the Middle on Gay Rights? 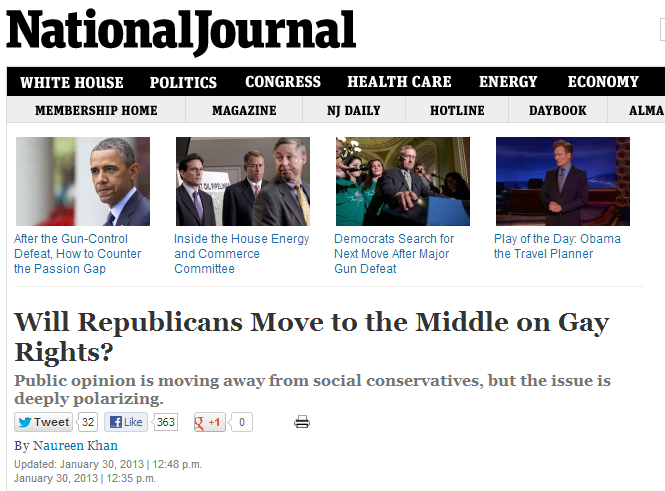 National Journal: Will Republicans Move to the Middle on Gay Rights? Log Cabin Republicans Interim Executive Director Gregory T. Angelo was quoted in the National Journal on the evolving Republican stance on LGBT issues. You can read the full article here.